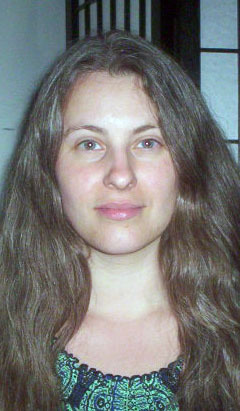 2012 - Acting President of the Integrated Reflexologists of Wisconsin, Inc.
2015 - President of the Integrated Reflexologists of Wisconsin, Inc.
Jacquelyn (Jacquie) Crema, C.Ac.,MSOM, is a Wisconsin State Certified Acupuncturist who specializes in Traditional Chinese Medicine (TCM) and Japanese style acupuncture. She sees clients at Ray of Hope Reflexology, LLC, 640 Main Street, Belgium, WI. Some of the healing modalities that she uses include acupuncture, acupressure, moxabustion, cupping, gua sha, electro- acupuncture, and reiki (a type of Japanese bodywork). In combination or alone, these therapies are effective in treating a variety of ailments. Jacquelyn’s educational training includes a Bachelor of Arts in Anthropology and Comparative Study of Religion from the University of Wisconsin - Milwaukee, and a Master of Science in Oriental Medicine/Bachelor of Science in Nutrition from Midwest College of Oriental Medicine. She interned and studied under Professor Fumitake Taiyama at Taiyama Acupuncture Clinic in Kurume-city, Japan. Jacquelyn is a National Certification Commission for Acupuncture and Oriental Medicine (NCCAOM) Board Certified Diplomate of Acupuncture. Gail A. Vella, C.R.R., is an International Institute of Reflexology Certified Registered Reflexologist (CRR). Her goal is to create a response to release congestion or stress in the nervous system to help balance the body’s energy so it can nurture and repair itself. She is seeing clients at Ray of Hope Reflexology, LLC 640 Main Street, Belgium, WI and at the Ray of Hope Reflexology office located at GreenSquare Center for the Healing Arts, 6789 N. Green Bay Ave, Office L5 (Lower level) in Glendale, WI. Gail, a Registered Yoga Teacher (RYT-200) completed her Yoga Teacher Training with Sarah Filzen at Kanyakumari Ayurveda & Yoga Wellness Center in Glendale, WI. She is a Certified Laughter Yoga Leader (CLYL) completing the training at Dr. Kataria School of Laughter Yoga and is certified by The Arthritis Foundation as an Exercise Program Instructor. She works with a variety of healing modalities including: Ingham Method™ Foot and Hand Reflexology, Sorensensistem Facial Reflexology, K.H.T. – Korean Hand Therapy. 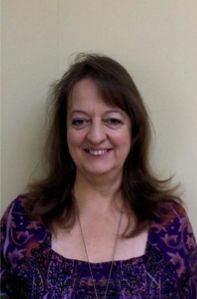 She has a special affinity for EFT (Emotional Freedom Technique), Healing Touch and Crystal Healing.